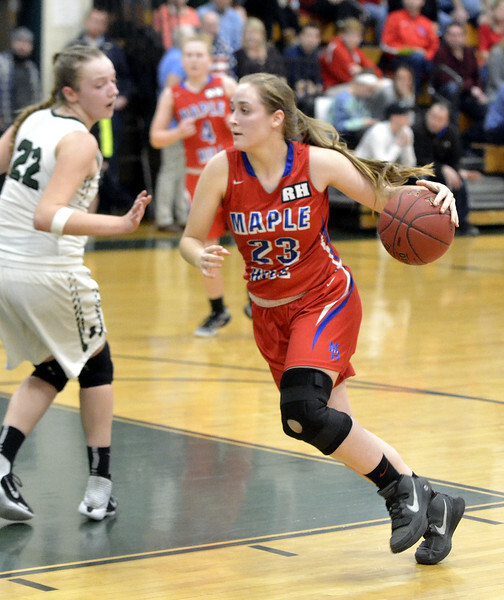 Maple Hill traveled to face Greenwich in the 2018 Class C basketball preliminary round Tuesday, Feb. 20. Maple Hills' Lydia Chittenden looks to drive the lane agaiinst Greenwich in their Class C preliminary game at Greenwich HIgh School. Feb. 20, 2018.